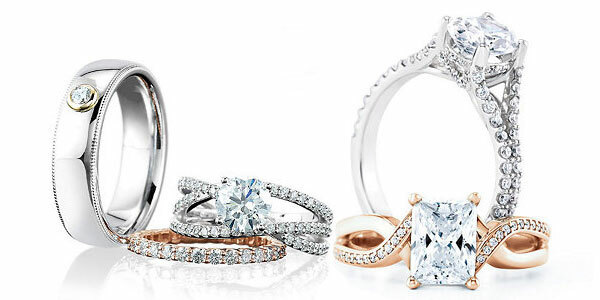 The classic diamond solitaire, the most common & traditional of all the engagement ring styles. A single diamond on a simple band is anything but simple purchase. Without the proper knowledge you can end up spending more than you should. When purchasing a diamond there are so many factors that contribute to the price. Everyone has heard the phrase, Cut, Color & Clairty, but many do not know how these can effect the price of a diamond. Since 1953 Houston Jewelry has been helping our customers in choosing the perfect engagement ring to fit into their budget. Stop in today and let our skilled diamond specialists help you to find your perfect engagement ring.